If the first decade of the 21st century heralded the explosive birth of immersive and interactive theatre as we think of it now, then the 2010s are the genre’s troubled adolescence. Issues of long-term financial viability, creative boundaries and sustainable growth regularly rear their head in a theatre form that is still rapidly developing. One organisation is looking to tackle those problems head on. The Gunpowder Plot is an association of immersive and interactive theatre professionals working to build the support network and creative partnerships that are vital for the sector to flourish. 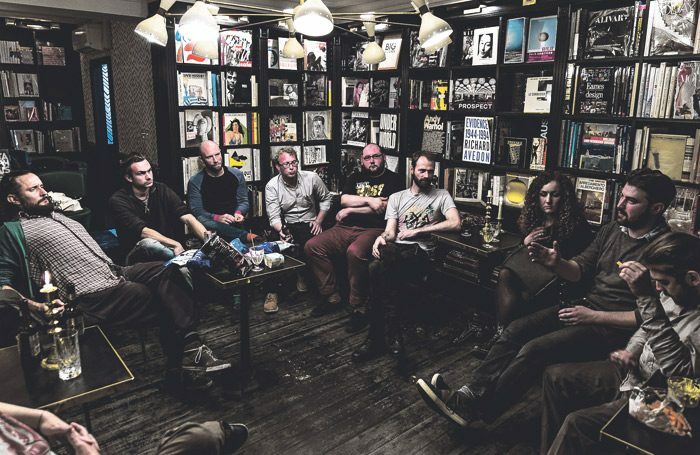 The group is organised by immersive theatre and events company Specifiq, and jointly run by its artistic director Oscar Blustin and creative producer Becky Brown. The Gunpowder Plot started in 2013 as a regular get-together of immersive theatre specialists at Theatre Delicatessen’s now defunct space on Marylebone High Street, where Brown worked as a production manager. Immersive companies and creatives regularly worked in the building, and monthly meet-ups sprang up as a forum for sharing ideas. 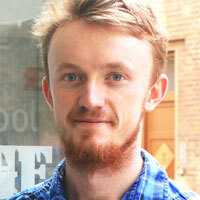 Blustin continues: “I think that while traditional theatre has such an established way of going about things, with immersive theatre every show is reinventing the form, so it’s so much harder to find a knowledge base to call on, and that’s always been a central idea behind these meetings. When Theatre Delicatessen’s Marylebone building shut down in 2014, the informal get-togethers ceased, but it wasn’t long before companies and creatives realised what they were missing. The first formal meeting, at which the network’s name was agreed on, took place in November 2016. 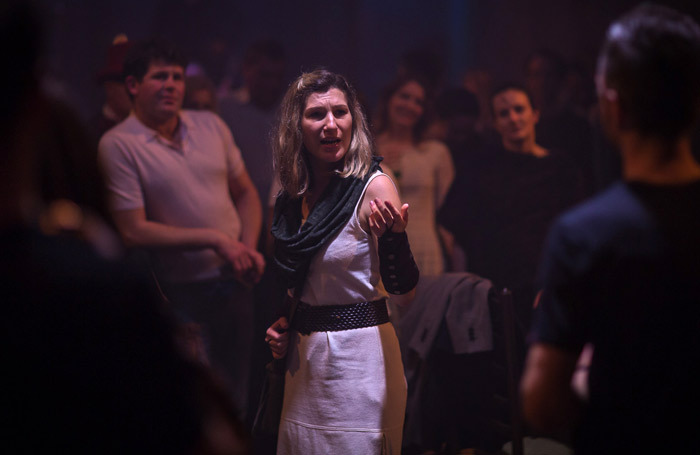 Those monthly meetings remain at the core of the Gunpowder Plot’s activities, but since that first get-together at the George Inn, they’ve also instituted regular events where a wider group of companies and individuals interested in immersive theatre can make connections. The Gunpowder Plot is now the largest forum for immersive and interactive theatre in the country, but it’s looking to evolve further. 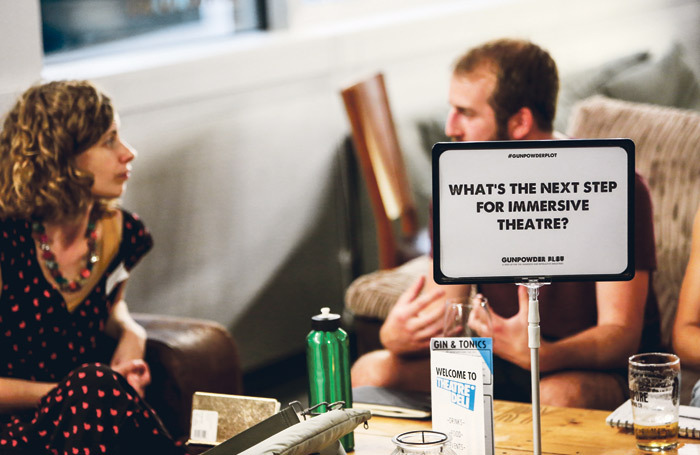 Details of this development are yet to be announced, but it is designed to make the network more accessible for aspiring immersive theatremakers and to help the industry overcome some of the challenges it faces. First and foremost, that means working to ensure the long-term financial stability of immersive and interactive companies, young and old. In the immersive sector, financial peril is never far away: one of the Gunpowder Plot’s original companies, DifferencEngine, went bust earlier this year owing thousands of pounds to the cast and crew of its ill-fated immersive show The Hollow Hotel. That’s not all the Gunpowder Plot is focused on developing, however. Blustin and Brown are keen to establish regional events, to foster relationships with similar networks abroad, to provide more apprenticeships and internships within immersive companies, and to establish clear career pathways for anyone interested in the industry.